Top Row: L/R; Ajay Jain, Speaker, Writer and Owner – Kunzum Travel Cafe; Apoorva Prasad, Editor-in-Chief and Founder – The Outdoor Journal; Mariellen Ward, Digital Storyteller, Content Marketer and Traveller – Breathedreamgo, and Dr. Mario Hardy, CEO – PATA. Second Row from Top: L/R: Daw Moe Moe Lwin, Director and Vice Chairperson – Yangon Heritage Trust; Mohan Narayanaswamy, Managing Director – Travel Scope; Natasha Martin, Managing Director – Bannikin Asia, and Paul Brady, Editorial Strategist – Skift. Third Tow from Top: L/R: Philippa Kaye, Founder – Indian Experiences; Rajeev Tewari, CEO – Garhwal Himalayan Explorations Pvt. Ltd.; Robin Weber Pollak, President – Journeys International, and Rohan Prakash, CEO – Trip 360. Bottom Row: L/R: Shradha Shrestha, Manager – Brand Promotion and Corporate Marketing, Nepal Tourism Board; Trevor Jonas Benson, Director of Food Tourism Innovation – Culinary Tourism Alliance; Vivienne Tang, Founder – Destination Deluxe, and Yosha Gupta, Founder – Meraki. 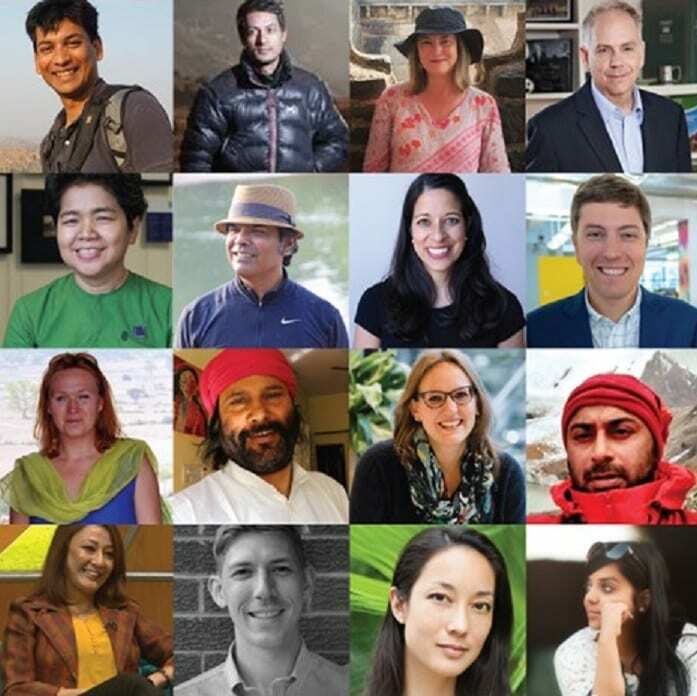 The Pacific Asia Travel Association (PATA) has gathered a diverse line-up of thought leaders, innovators and pioneers to share their insights and knowledge on one of the fastest growing tourism sectors of travel at the upcoming PATA Adventure Travel and Responsible Tourism Conference and Mart 2019 (ATRTCM 2019) in Rishikesh, Uttarakhand, India. The event, generously hosted by the Uttarakhand Tourism Development Board, will be held at the Ganga Resort GMVN from February 13-15 with the theme ‘Rejuvenate Your Soul Through Travel’. Tourism has the power to rejuvenate and to transform but in the age of over-tourism and mass tourism, rejuvenation does not necessarily happen organically. It is the result of careful planning by destinations, thoughtful experience design by tour operators and mindfulness by tourists. This year’s conference program explores the themes of niche tourism, especially those unique to Rishikesh – a place of rejuvenation through its wellness and adventure travel products. Confirmed speakers include Ajay Jain, Speaker, Writer and Owner – Kunzum Travel Cafe; Apoorva Prasad, Editor-in-Chief and Founder – The Outdoor Journal; Mariellen Ward, Digital Storyteller, Content Marketer and Traveller – Breathedreamgo; Dr. Mario Hardy, CEO – PATA; Daw Moe Moe Lwin, Director and Vice Chairperson – Yangon Heritage Trust; Mohan Narayanaswamy, Managing Director – Travel Scope; Natasha Martin, Managing Director – Bannikin Asia; Paul Brady, Editorial Strategist – Skift; Philippa Kaye, Founder – Indian Experiences; Rajeev Tewari, CEO – Garhwal Himalayan Explorations Pvt. Ltd.; Robin Weber Pollak, President – Journeys International; Rohan Prakash, CEO – Trip 360; Shradha Shrestha, Manager – Brand Promotion and Corporate Marketing, Nepal Tourism Board; Trevor Jonas Benson, Director of Food Tourism Innovation – Culinary Tourism Alliance; Vivienne Tang, Founder – Destination Deluxe, and Yosha Gupta, Founder – Meraki. The conference will explore various topics including ‘Rejuvenating Your Soul Through Travel’; ‘Storytelling to Sell Travel on Instagram’; ‘Using Sustainability to Future-Proof Our Destination’; ‘Trends to India’; ‘Creating Experiences that are Regenerative’; ‘Marketing to the New Adventure Travellers’; ‘Tourism as a Tool for Rejuvenation’; ‘A Special Story of Indian Rejuvenation’, and ‘Sustaining our Souls: Vision-Driven Leadership in Adventure Tourism’. Nestled amidst lush greeneries guarded by the breathtaking hills of northern Uttarakhand, the tranquil city of Rishikesh is often claimed as the `Yoga Capital of the World’. The city attracts tourists from all over the world for its numerous adventure sports such as white-water rafting, cliff-jumping, kayaking and camping. Known as the ‘Gateway to the Garhwal Himalayas’, Rishikesh is also a designated starting point for treks to numerous Himalayan pilgrimage center and shrines.